Convert PDF to different types of TIFF. 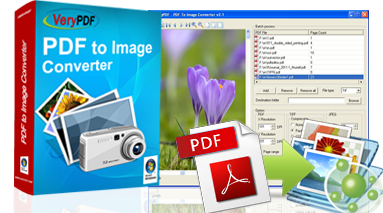 Convert image PDF to TIFF or JPG fast. Generate multi-page or single-page TIFF. Option to merge small TIFF strips into one TIFF. Option to extract color images to JPG. Option to remove thumbnail pictures. Option to detect and invert color for Black-and-White pictures. Option to scale picture according to original paper size. No need for other PDF reader software. 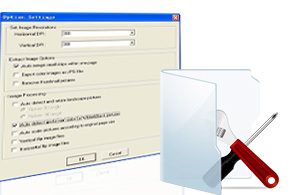 Support PACKBITS, CCITT Fax4/Fax3, LZW, Run-Length, JPEG, JBIG2, JPEG2000 and FlateDecode compression methods. 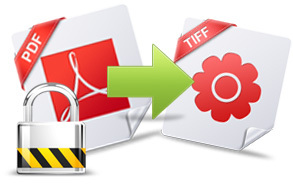 PDF to TIFF Extractor has a development package, PDF to TIFF Extractor COM, for developers to implement the same functions in their applications. This COM package provides some examples in C++ and VB.